Loras College invites all college-bound students and their families to explore the campus, visit professors, meet coaches, talk with current students and learn about academic opportunities during Iowa Private College Week (IPCW), July 31-August 4. 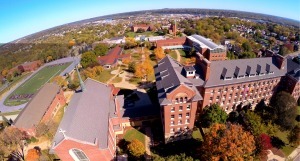 Students can tour the Loras campus at 9 a.m. each day. Loras College has participated in IPCW since the event’s inception and has consistently drawn one of the highest attendances among the 25 participating colleges and universities. For more information and to register, loras.edu/ipcw.